Can Crowdfunding Provide a Solution for the Financial Problems of SMEs in Turkey? This chapter aims to study crowdfunding in an emerging economy, Turkey. Crowdfunding is a comparatively new funding practice in Turkey and platforms involved in crowdfunding are very few. In an economic system where entrepreneurs of small sized companies have limited possibilities for securing financial resources crowdfunding could have been a viable tool for the provision of financial resources. However, due to legal constraints, limited usage of social media, lack of computer literacy and lack of knowledge about the issue, crowdfunding in Turkey is a novice micro-funding mechanism where people with similar concerns, lifestyles and values give support. The chapter is based on an analysis of primary (semi-structured interviews) and secondary data about the Turkish crowdfunding arena and discusses the business models, governance mechanisms utilized by crowdfunding platforms. During the last decade crowdfunding has been experienced as an alternative solution for financing especially by those entrepreneurs who seek external financing as a viable solution. By crowdfunding entrepreneurs can reach a wide range of distributed funders who appreciate a project and enjoy being part of it by their financial contributions. Besides being a means to provide financial resources for the entrepreneurs, crowdfunding is a means through which people with similar interests, lifestyles and worldviews are able to experience a sense of community and develop collective identities. Crowdfunding is rooted in crowdsourcing where the “wisdom of the crowd” is used for getting ideas, feedback, and solutions to develop corporate activities (Kuppuswamy & Bayus, 2014; Surowiecki, 2004). In this way, collective knowledge, opinion and skills of individuals characterized by cognitive diversity and independence rather than a single expert are used to solve a problem. In the case of crowdfunding, the objective is to collect money for investment, from a group of investors - the “crowd”, in which each individual provides a small amount. 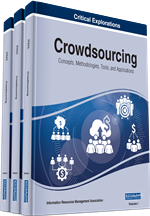 In other words crowdfunding can be defined as a business model in which financial resources are provided by the “crowd” and this process involves an open call, generally through the Internet. Thus, crowdfunding is a means to reduce transaction costs and lead to economies of time. Provision of financial resources can be in the form of donation, equity purchase or pre-ordering of the product (Agrawal et al., 2011; Kuppuswamy & Bayus, 2014). Based on these explanations we can claim that there are basically three types of crowdfunding; an equity-based model, profit-sharing scheme, and lending to donations. Depending on the type of the model, the participants of the crowdfunding model - the “crowdfunders”, have some additional benefits as compared to regular customers and they either develop a consumption experience by a pre-ordering mechanism or an investment experience by profit-sharing. Furthermore, according to Gerber et al., (2012), one of the major motivator of crowfunders is to be part of the donative community by which they share common vision and interests. Crowdfunding is a new experience for Turkish entrepreneurs and funders. Traditionally, the fundamental tool for financing small and medium sized enterprises (SMEs) in Turkey has been bank loans and entrepreneurs themselves. The first encounter of Turkish business community with crowdfunding has been during Gezi protests where a large group of crowdfunders located outside Turkey were funding the protesters through a project in Indiegogo. Realizing the potential of the crowds to contribute fundraising and the need for financial resources other than banks four crowdfunding platforms were established. These platforms utilize similar business models and projects backed belong to similar categories – arts, design and education. Based on four case studies, the chapter tries to provide an answer whether crowdfunding can be a solution for the provision of financial resources for SMEs in Turkey. Since the Turkish financial and banking system privilege the big business, other means of providing financial resources are to be developed to promote investments for ventures that are not attractive for traditional financial intermediaries. The research focuses on four crowdfunding platforms operating in Turkey and analyses these sites in terms of value creation, revenue streams and governance. The chapter is organized as such; after introduction in the second section a detailed discussion on crowdfunding and various theoretical approaches in explaining the concept is provided. In the third section Turkish business context- legal issues, structural characteristics and cultural variables- is explained with a reference to SMEs and crowdfunding. In the fourth section, Turkish crowdfunding platforms are analyzed with a special emphasis on the business and governance models employed. In the last section a detailed discussion about the Turkish context, its limitations for crowdsourcing and possible actions that could be taken will be provided.